Indie-pop band LANY graced Singapore for an intimate, sold-out show earlier this month, and we caught up with the trendsetting trio before they proved they’re a live force to be reckoned with. It’s not usual for an artist to sell out their first outing here – unless they’re in the leagues of Taylor Swift or Ed Sheeran – but three-piece American band LANY did just that. Granted it wasn’t a stadium-scale show, but the feat alone is an attest to the band’s appeal. For 90 minutes, LANY enthralled the sizeable audience with their palatable brand of synth-heavy alt-rock sound with songs like ‘The Breakup’ and ‘Flowers on the Floor’ – both cuts from their latest self-titled debut album. But a true sign of long-term loyalty from their legion of supporters was the fervent response to the band’s music even from their infant years – early EP tracks like ‘Made in Hollywood’ and ‘Like You Lots’ drew equally loud cheers. Diehard fans even showered the charming musicians with flowers – a staple at most LANY gigs, and an ode to the band’s affiliation for floral aesthetics in their brand. With a fanbase ever-growing attributed by strong word-of-mouth and catchy indie-pop tunes, LANY looks set to be the breakout act of 2017, and follow the achievements of similar indie triumphs like The 1975, Chvrches and Bastille to become a staple on both Spotify playlists and future concert listings here. Before LANY rocked the stage with their presence, we had the privilege to sit down with the laidback lads to chat about everything from their friendship with Halsey to their impressions upon meeting each other for the first time. We even quizzed them on their knowledge of all things flowers, acronyms and ‘good girls’ – to hilarious outcomes. Is LANY your new favourite band of 2017? Let us know in the comments! For more of LANY, pick up a copy of the August issue out on newsstands now! Blank Space + Snake = ? Get ready guys, Taylor Swift is definitely up to something. If you haven’t already heard, Taylor Swift caused much Internet buzz when she went on a literal social media blackout last Friday. While the ‘Bad Blood’ songstress had already been lying low online, (except for updates bestowing birthday wishes on her world famous besties), Taylor wiped all the content off her social media accounts – which sparked off netizen reactions ranging from alarm at her sudden disappearance, to anticipation for possible future music aka ‘TS6’. 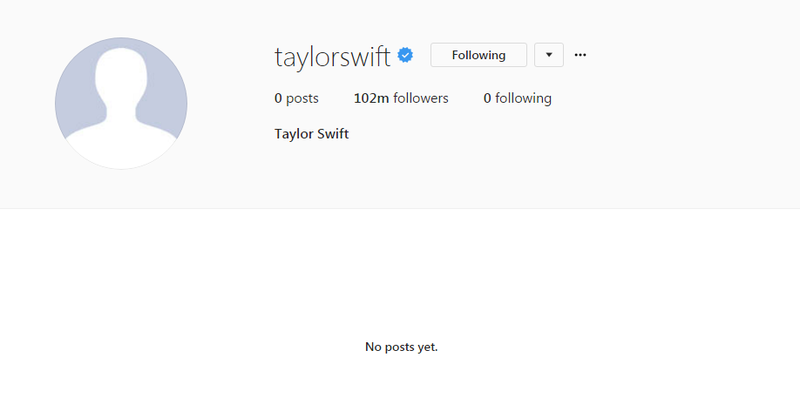 And in a bold move that could only be testament to Taylor Swift’s shrewd social media brilliance, she uploaded a single post on Monday (before anyone could get bored of speculating about her blank spaces): a 10-second video cryptically depicting what appears to be a snake’s tail flickering back and forth. Taylor Swift has been associated with the snake, particularly the snake emoji, for awhile now. According to Urban Dictionary, a snake is “someone who you think is sincere and really nice, but then turns out to be a backstabber”. Ever since the whole Calvin Harris/’This Is What You Came For’/Nils Sjöberg pseudonym debacle, and the whole Kanye West ‘Famous’/ Kim Kardashian Snapchat leak, haters had been flooding Taylor’s social media pages with the snake emoji. With that being said, it’s kinda understandable (and predictable) why the Internet exploded and went into complete furore over what Taylor’s mysterious clip could mean. Ranging from a possible T-Swift cameo on Game of Thrones, to an impending space adventure, to her opening the Chamber of Secrets. But to be honest, the most likely theory is that Taylor will be dropping new music. Her 6th album to be exact, which Swifties have been eagerly waiting for since 2014’s 1989. Taylor Swift deleted all of her social medias because after a snake sheds it's skin, it comes back better than before. And with a little Internet sleuthing, here are what Swifties have come up so far about the imminent #TS6. With Taylor releasing the snake vid moments before the eclipse happened, @DaleSwift speculates that the lyrics “It feels like we crossed paths at exactly the right time and place” could be from an upcoming single! According to Genius, Taylor Swift's new single is called "Timeless". This tweet is self-explanatory. It’s amazing how dedicated Swifties are at uncovering information, especially in such ‘blink or you’ll miss it’ cases. And with Taylor’s past albums dropping in August, we wouldn’t be surprised if she really releases music this Friday! Now, this one we’re most excited about. Tumblr users @wildestgiraffe and @shiftyswift‘s eagle eyes spotted that both Taylor’s Vevo and main YouTube channel shows more videos that can be viewed, with her Vevo listing 77 videos (with 73 viewable) and her YouTube having 141 videos and only 140 viewable. This can only mean one thing: #TS6 is definitely coming! Watch this (not so blank) space for more #TS6 updates as they hit the Internet! Topping Spotify Singapore’s Viral 50 chart, scoring huge gigs at the likes of Laneway Festival, Ultra Music Festival and more, psychology student-turned-R&B chanteuse Sam Rui has accomplished in her relatively new career what many established local acts have yet to. Admittedly, our introduction to Sam’s music only came after her debut single, ‘Better’ shot straight to #1 on Spotify. But it didn’t take long for us to fall for her brand of slow burning alternative R&B, with heartfelt tunes like ‘Never Be (Let It Go)’ and ‘Boys’ reminding us of every heartbreak we’ve ever known. Ahead, we speak with the 21-year-old musical trailblazer, where she dished on her burgeoning career, moving past comfort zones, and writing about her exes (giving us pretty good relationship advice while at it). How was it like prepping for your album release? When I started recording, it was just something I was doing for fun. Then as things started blowing up, I felt like if this opportunity fell into my lap I’d be really stupid not to capitalise on it. At every step of the way, I would look back on my progress and note that I would have to up the stakes – work harder and add several factors that I wouldn’t have added if I had released it six months earlier. It was really free and easy up until the start of this year when I realised what it was turning into and what I wanted it to be. This was when I started investing in more money, effort and time, and when it started to get stressful. For the most part, I’ve been quite lucky with my music. I haven’t had to do much to really push it, and not to be haolian, but good music speaks for itself. To do the smart thing and run a press release works (and is quite necessary to do), but you can’t do that and not have anything backing it up. I felt that people who found my music without me pushing it down their throats would really appreciate – and would be the audience that I wanted – so that’s why I just let it do its own thing. Comparing yourself now and six months before, has anything changed for you as an artiste, strategy-wise? If the product is good and authentic then there won’t be much of an issue. Listeners know what they’re listening to and they are equally picky. From the start, people have commented on how I should perhaps start singing more Chinese songs because the market is bigger, or make more pop and R&B songs. I could have taken that advice and maybe things would have picked up more, but I would have felt it was forced. It has worked for me right up till this point and it would be stupid for me to switch things up because this is a formula that’s already working for me. I’m still the same person, my approach and the way I sell music is still the same. I’ll let you decide for yourself if you like it – I’m not going to blast it everywhere and make you ‘swallow’ it, you know what I mean? Having performed at Laneway, Ultra and this year’s SHINE fest, do you have any pre-show routines? Pi Pa Gao! (Laughs) I chug this like mad. I used to drink from the bottle but now it comes in little sachets. So before shows when other people usually [do] something to calm their nerves, instead I drink Pi Pa Gao. That’s my only pre-show ritual. Did you have any doubts going into music? For sure. I need to have a safety net of sorts – I still have a very traditional mindset and my family is quite a typically traditional one. Every once in a while, I tend to [think that] this is not the best thing to do. But then I think of how I’m still young and how dumb I would be not to invest my all in it seeing as how it fell into my lap. It’s better now than in my late twenties when I have a family to support or to buy my own house. I can still afford to be a little more self-indulgent. But I’m still very cautious. I didn’t drop out of school and I’m currently only on my gap year. I plan to eventually go back and finish my degree and explore other career paths that I’ve kept open, but [music] is my priority [right now]. Hopefully it becomes sustainable, but if it doesn’t then at least I’d have tried and I didn’t let what society expects of me [deter me] right away. What does your family think of your music career? I always stand my ground because being an artiste means there are things you need to cut out if you want it to work. I appreciate that they don’t shut me down and stop me from doing what I really want to do. I think some parents would have stopped their kid from doing music – but my parents are also not super ‘all in’, which I appreciate as it keeps me in check. My brother digs it, he gets to come to shows like Ultra for free, and he has a lot of street cred amongst his friends. He’s pretty supportive. But yeah, my family are supportive, they come for my shows once in a while and I really appreciate that. As a young solo female artiste, has pushing yourself out of the comfort zone always been something you’re comfortable doing? I’m a very self-conscious person, I don’t have the highest of self-esteem. When I release a song or perform, I don’t have that kind of mindset like “Yeah, I’m doing what I’m doing. If you like it, good, if you don’t f*ck you”. I don’t have that kind of mentality. Growing up, I’ve always been the sort of person who needed approval and affirmation that what I’m doing is right. I think because the trajectory for me doing music was so steady, I wasn’t pushed out of my comfort zone so suddenly that I didn’t have time to prepare for it. For example, I started writing and my first song on Soundcloud was just an audio file of my voice; my face was not even there and I felt comfortable enough doing that. It slowly pushed into performances where I’d hide behind the guitar, and it’s escalated to the point where I have to front a whole band. It’s been a very steady thing and along the way I have people close to me who support me in what I do. My band is very supportive and they give me feedback and criticism, but I know it comes from a good place. So I always know what I have to work on and they’re the people I want to please when I’m doing this, and the people who’ve had my back since the beginning. I’m not trying to please everyone, just the people who matter to me. Making a leap from Youtube covers to creating your own music and writing your own lyrics, was there anything interesting you learned along the way? In terms of performing, I’m always open to feedback but in terms of my writing, it’s still a personal thing to me. I don’t let anyone dictate that process. Some people think like, going from covering songs to writing your own lyrics is a very big step and that you need to learn how to do it. But my favourite subject in school was Literature so I’ve always had this in me – I love the language and the way you can phrase words together to make something entirely your own. I didn’t have to force myself to learn how to write. It came very naturally, and I take a lot of pride in what I’m doing. It gives me a lot more fulfilment than covering other people’s songs. Your lyrics draw inspiration from your personal experiences, as well as past relationships. So have any of your exes contacted you? Well, I think my ex hates me cos I basically slammed him in a song and made a ton of royalties out of it. We’re probably never gonna be friends again (laughs). Funny story, ‘Solid Gold’ is about the first stranger I kissed. We went out on like two dates after that and realised we weren’t going to get along but we’re still kinda mates. We’re not like super close friends, but we see each other around. When we were dating, he sent me this WhatsApp voice note, which I sampled and put it at the end of the song. It had been like three months since we spoke and I hit him up out of nowhere like “Yo, can I use your voice note in a song just for fun?”. And he was like “LOL, yeah sure”. That’s pretty much the only contact I’ve had [with an ex]. Everyone else wouldn’t want anything to do with me after what I’ve done, so yeah. You’ve mentioned that being empowered is relying on your own capabilities and your belief in how far it can take you. Was this self-aware mentality something you’ve always known? Growing up, I always needed validation from outside sources to feel okay about what I’m doing. After some time, it just gets exhausting trying to please everybody. But in-between the pockets of what I’d be doing to please somebody else, I would do something for myself occasionally and be like “this is the best I’ve ever felt”. It felt satisfying to me and I was answering to myself. But if you take that route too far, you can become a narcissist. That’s why self-awareness [is important]. On one hand you know what you’re doing is for the right intentions – this is your art, you take control of it entirely. But then, you also still have a certain sense of humility, by learning from people who have a better sense of themselves than you do. [In contrast], being self-conscious is not a good place to be because you’ll put yourself down all the time. But when you’re self-aware, it’s a good balance between being confident and being willing to learn and be put in place by somebody else who knows their stuff. My luck is just damn suey. (Laughs) Everybody I’ve dated in the last year and a half that I’ve been single have always “not been sure about where they stand with me” and I would always take that personally. Like what about me isn’t good enough for you to commit? That’s why I wrote all those songs. There’s a line in ‘20,000’ that says: “It’s been a long time coming, even you can tell that I’m fully grown.” It’s a reminder to myself that if somebody is unsure about a relationship with you, don’t take it personally. If you’re not enough for them, it’s not up to you to try to change it. They should accept you for who you are, or not at all. It might have nothing to do with you even, it just might not be the right time, or they don’t want something serious at that point of time. You shouldn’t keep trying to shape yourself differently to fit the next person better. You should just stay firm in who you are. Well, you seem very grounded now! It took a really long time though! That’s why I have so many songs on this album. By the time I wrote that last song, I was so exhausted – of feeling like I wasn’t enough for anyone, be it friendships or relationships. This is me and I have stuff to work on, but I also have a lot of things going for me and if you can’t appreciate it, it’s your loss. Do fans ever approach you? Oh yeah, I’m quite surprised. Every once in a while somebody will send me a DM on Instagram or come up to me in person and tell me why they liked one of my songs or stories – I can’t explain to you how surreal it feels. These were songs I wrote for myself and the fact that it reached them and they related to it on such a personal level, it’s crazy. That’s the power of music and the Internet. One time at Laneway Festival, this girl came up to me, shaking. She asked for a hug and then she started crying. I didn’t know what to do so I just talked to her. She told me she had been following me on Tumblr since five years ago, when my depression was at its worst. During that time she was [depressed] also, and she would message me anonymously and we would have conversations but I didn’t know it was her. She felt like she had nobody to talk to then, and to have someone ‘faceless’ who knew her situation really helped her through it. And she said seeing me go from that period to playing at Laneway, it made her feel like she wouldn’t be stuck there forever too. That was so crazy, I was shaking too. Hopefully playing shows on the regular abroad, being able to support myself entirely and collaborating with artistes outside the region. I want to put Singapore on the map. Asian R&B still doesn’t have a distinct sound, so I want to create like a Singaporean-Chinese influenced R&B sound and I want to be a part of bringing Asian R&B to the world. We’ll see how it plays out. Listen to Sam’s debut album, Season 2.0 out on Spotify and iTunes now! Check out our Fashion and Beauty spread with Sam Rui, Trishna Goklani and Munah Bagharib in our August 2017 issue, out on newsstands now! 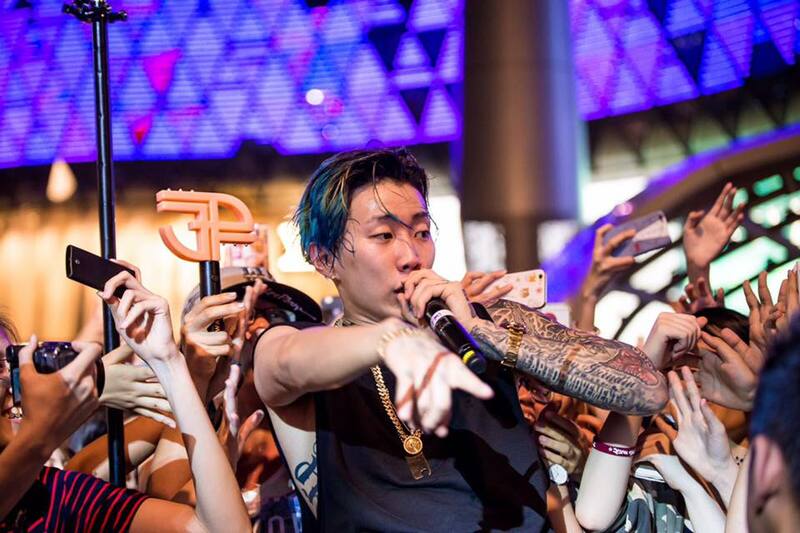 With the mainstream support of local music at an all time high, it’s not hard to envision the Singaporean scene rivaling the popularity of global industries – we certainly have no lack of talent here. But what really goes on behind the glitz and glamour, and what does it truly take to join the ranks of acts like The Sam Willows, Tabitha Nauser, ShiGGa Shay and more? We speak to two head honchos, Willy Tan (Artiste manager and owner of Aging Youth) and Lim Teck Kheng (Head of Marketing, Sony Music Singapore) to learn more. Having an avid interest in the local music scene, Willy and his friends started a web-zine back in 2004 titled ‘Aging Youth’ that focused on Singaporean music. It soon spun off into events which showcased homegrown acts and distribution of their music. Willy’s role as an artiste manager truly began taking form when the artistes started requesting for him to come onboard to help manage them. He has since worked with ShiGGa Shay, the Grizzle Grind crew, Lineath, Jasmine Sokko and has taken on huge clients like National Youth Council for the annual Shine Fest. Likewise, Kheng’s start in the music scene began by helping local artistes with the distribution of their albums. Starting with Urban Xchange in 2001 as his first A&R (artistes and repertoire) involvement, Kheng has been involved in the signing of popular acts like Gentle Bones, Charlie Lim and Linying to a major label. And the rest is history. Similar to fashion, there are fast music trends which tend to be adopted – resulting in similar sounding music all around. Due to the nature of their jobs, we imagine Kheng and Willy to be at the forefront of up-and-coming artistes and music. But what do they truly look out for in new talent? “As with any industry, the drive to succeed must be there. A positive attitude is very important.” Willy shares, “Usually I like to work with artistes who make unique or refreshing music. Essentially, I must really like the music before all things else.” Similarly, Kheng’s criteria mirrors Willy’s latter point. “For me, the music will always be the most important element. It will also be good for them to have a vision that they would like to achieve.” He adds, “In this day and age of the Internet, it is imperative for one to build up a good social media presence and following.” Which brings us to the next point. There’s a reason why artistes constantly thank their fans. Apart from the love and encouragement fans give artistes, they are fundamental in helping the artiste grow. As Willy puts it, “they are massively important in sustaining the careers of artistes, whether it’s by consuming the music or attending shows. Of course, brands are always keen to work with artistes who have massive fan bases, so that translates back to more revenue for the artistes too.” Kheng shares, “I hope more will continue to show support for the artistes. Support can be shown by simply buying a ticket to the artistes’ shows instead of asking to be on the guest list.” Which goes to show, a little goes a long way! There’s more to the local scene than mainstream artistes. Willy reveals, “There’s a lot of exciting music bubbling in our music scene with practitioners doing different genres. It ranges from heavier sounding music to pop sounds. So there really is something for everyone here.” Some acts we’ve had our eye on? Jasmine Sokko (an electronic music artiste whom Willy has been working with), Disco Hue, The Summer State, Sam Rui and more! Read the rest of our interview with Willy and Kheng in our August 2017 issue, out on newsstands now! The band’s debut show in Singapore certainly left fans going ‘crazy crazy’ with their insane body moves and infectious hits. DNCE’s first performance in Singapore, was in many ways, more than just a concert. Performing at the Suntec City Convention Centre, it felt somewhat like a Zumba class with people jumping and punching their arms in the air. It was a theatrical performance of quirky dance moves and animated facial expressions. And to top it off, it was also lead singer’s Joe Jonas’ birthday. More than that, it was an intimate showcase where the pop-rock quartet performed songs from their debut self-titled album, which included hits like ‘Cake By The Ocean’, ‘Body Moves’, ‘Toothbrush’, and ‘Kissing Strangers’. The band also went with playful covers of ’90s classics, such as ‘Wanna Be’ by the Spice Girls, ‘Oops! … I Did It Again’ by Britney Spears, and ‘We Are The Champions’ by Queen. How intimate could a concert get, you might ask. Well enough to catch guitarist Jinjoo engaging the crowd with an adorable finger heart sign. Enough to see the beads of perspiration glistening from Joe Jonas’ forehead. And enough to count every single one of Cole Whittle’s tatted-up abdominal muscles. There were also numerous blink-and-you-will-miss-it moments that reminded the audience that DNCE at its core, was really about letting loose and having a good time. Cole was at one point running around, hydrating his fellow band members with a swig from a red cup. And Jinjoo was throwing her guitar picks to fans, and cooled the crowd off by dousing them with two bottles of water. And between their roof-raising catchy party anthems to heartfelt soulful songs, DNCE’s appeal really shone through. In an entertainment industry where rehearsed perfection is the norm, DNCE and their ability to just have a good time was refreshing, infectious, and certainly made for a super fun night. Want more DNCE? Here’s a throwback to earlier this year when we interviewed them in Korea!